Assassination and stealth gank power. 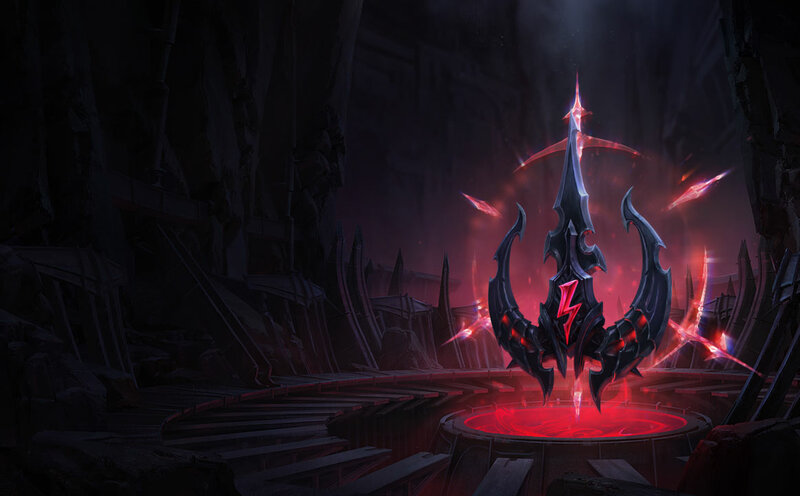 Gain a burst of Lethality and Magic Penetration after using a dash, leap, blink, teleport, or on leaving stealth. Dark Harvest synergizes extremely well with Kha'Zix' 1-shot burst nature, massively empowering your already strong execute damage. 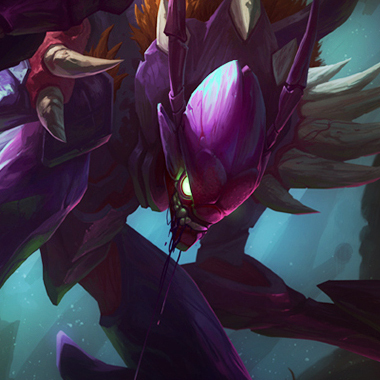 Through the use of his [R] and [E] Kha'Zix is able to keep Sudden Impact's Lethality buff for the entirety of almost all fights. Kill wards, kills champion, gain damage. Kha loves to check all of those boxes so Eyeball Collection is a no-brainer. Relentless Hunter's bonus Movement Speed synergizes well with your hunting playstyle, especially when paired with an evolved [R]. The extra speed will allow you to gap close extremely quickly while still in stealth after leaving a bush. Execution on squishy targets is the name of the game for Kha'Zix so Coup De Grace adds the most damage for ending those target's lives ASAP. Because you're naturally looking to kill ASAP, reset, and jump to the next target you'll want to make sure you're healthy enough to move on and Triumph plays up on that by giving you a lot of health after each kill.